Interview is the last step to the gate of success in UPSC examination. It is the final deciding factor to get the preferred service. In this UPSC CSE exam, almost 5 lakh students struggle for the 800-1000 vacancies all over India this year. And the interview part which carries 300 marks is the last hurdle of their path. Though it is personal and variable, the CSE 2017 interview preparation tips will definitely help the aspirants to crack the level with success. Generally in the interview room, there are 5 members at the interview board with the Chairperson at the centre. When you will enter the room, you should walk in confidently and greet the Board pleasantly. Do not sit until you are asked to. Here are some Civil Service Exam 2017-18 Interview Preparation Tips; which will help you to stay ahead in the competition. 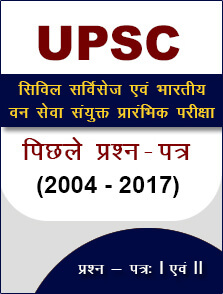 Enroll for the Mock Test: Various UPSC coaching centers are organizing mock interview test to prepare the candidate for the real time. You can also enroll for a similar test to sharpen your edges. You can also improve your performance based on the feedback of the expert. Go Through Your Application Form: Your interview questions will be prepared from the Detailed Application Form or DAF. So before the interview, check all the details of the DAF like educations, hobbies, work experience and service preference. Stay Up-to-date: Check all the current affair news and update on election and government policies. You can go through the Economic Times, The Hindu, Yojna, Yearbook and other current affairs resources and keep a track on the important news. Well-Groomed and Hygiene: You must go to the CSE interview well groomed, clean, neat and tidy. You have to take a good hair cut, clean your nails, comb your hair properly, clean shave your face, trim your beard if you have any, wear clean cloth preferably white. Avoid wearing colorful and flashy clothes. For the ladies, it is advisable to wear minimum makeup and jewelry. Avoid Unnecessary Body Movement: The body language is one of the most important features which the Board member will notice. So work on it and try to improve as much as possible. You should sit straight facing the Board members. Avoid unnecessary movements like shaking your knees, tapping your feet, coughing often, playing with tie or button etc. Pay Attention to the Board Members: When any of the Board members will speak to you, you should listen them carefully so that you should not ask them to repeat. Let them complete the sentences and do not interrupt. Remember, ‘A smile is the best makeup anyone can wear’! So use your smile to turn the table in the UPSC CSE exam. 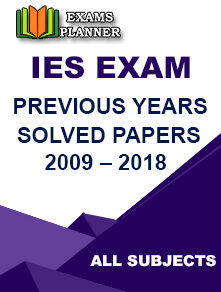 If you still have any doubts or got any questions related to CSE Exam drop us a message below.